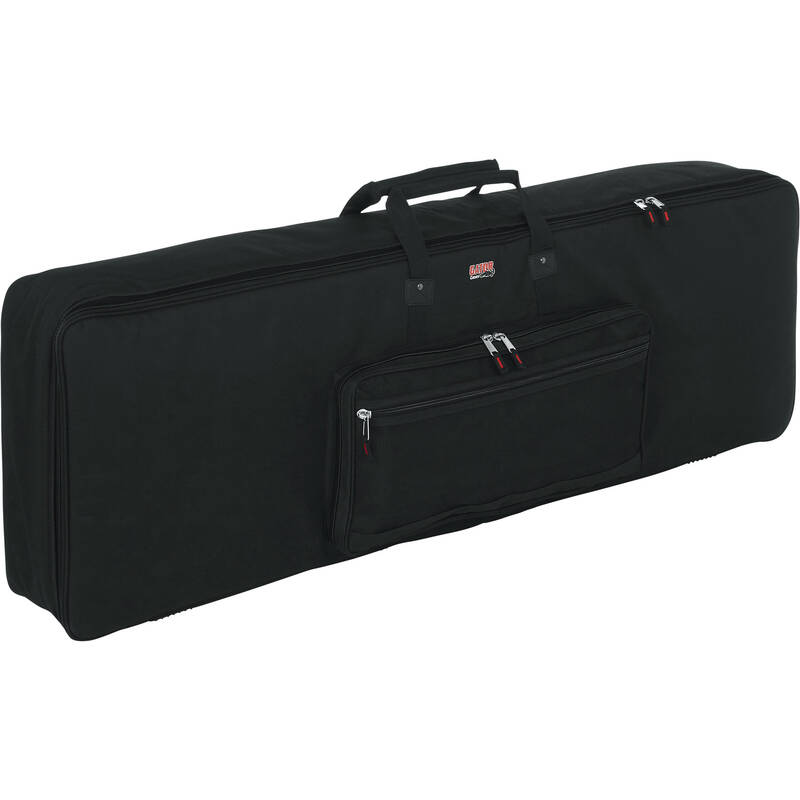 The Gator GKB-88 Keyboard Gig Bag is a 20mm padded 600 denier ballistic nylon keyboard case that fits standard profile 88-key keyboards, stage pianos and synthesizers. The case features Black chrome hardware, large zippers, padded secure straps and reinforced comfort carry handles for easy transport. Box Dimensions (LxWxH) 31.0 x 23.0 x 10.0"